True Fashionista Now > Uncategorized > BRUT Launches New BNN Campaign On Facebook. Scenes from the BRUT launch party in NYC. 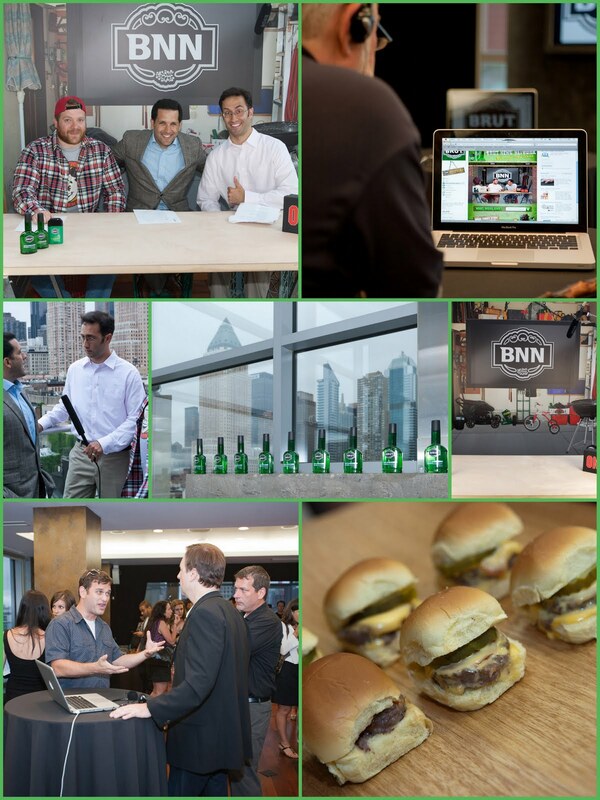 BRUT announces the launch of their new campaign, the BRUT News Network (BNN). Hosted on Facebook.com/BRUT, BNN is BRUT’s own news network featuring original video content that is part sports, part humor. This new BRUT campaign, created by Sigma, based in Oradell, NJ, is targeted at the younger male demographic that finds and follows brands via social media. It is an expansion upon a series of previously successful campaigns, including last year’s BRUTSlap.com platform, which featured a number of interactive elements for consumers, and the “Slap Some On” campaign, which was a tongue-in-cheek way to implement the concept of “slapping on” BRUT cologne. The BNN features the latest Internet videos along with commentary on hot topics and discussions that often include the insight of America’s #1 sports talk radio host and sports expert, Jim Rome, via frequent cameo appearances. The two BNN hosts, Bob and Ned, who love sports, explosions and people falling down as much as the next guy, grab audience’s attention by providing two minute videos of comic relief with episodes featuring topics such as Parkour, extreme sports fails, office pranks, and much more. Connect with BRUT on Facebook. Madonna & Lola: MATERIAL GIRL Collection with Kelly Osbourne.